What: A new regional organization dedicated to expanding Latino access, leadership and commerce in the Big Bear Lake, CA hotel industry. The Big Bear Lake Latino Hotel Association was organized to be the preeminent organization representing the interests of the entire Latino travel community, families and groups. Organized by local Latino non hotel owners and operators near Big Bear Lake. Browse 28 AAA approved Big Bear Lake NON-hotel cabins & save money with our Best Price Guarantee. 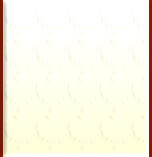 Read user reviews from many guests. The Latino community has established a foothold in the our local hotel industry, but the full potential remains largely untapped, said Don DiCarlo and Len Duran, president and general managers of BBLMA. Latinos are a small, but growing, force in hotel and new non hotel leadership in the Big Bear Valley, and opportunities will continue to grow with the language learning advice and support offered by this local group. Initailly among other advice, they will encourage the local Latino hotel community to take advantage in their bilingual uniqueness and further improve on it. The BBLMA feel their role is to educate and assist the local Latino community in playing a much larger role in our industry, including web development and Internet presence, leadership in hotel and non-hotel operations, conferences and job growth in the lodging industry. One of their supporters bigbearhoteles.com is a well-known Latin brand, with over 284 Internet properties and a strong presence in popular resorts areas such as Big Bear Lake, CA. Official Big Bear Lake Latino Visitor Information, Activities, Snow Reports and Lodging Guide. Visit our AAA approved non hotels near Big Bear Lake: "AAA approved cabins". Latinas y Latinos: Advance Big Bear Lake snow report in English and Spanish. HERE COMES THE SNOW. Latino non-profit, church and school groups may apply for group scholarships. 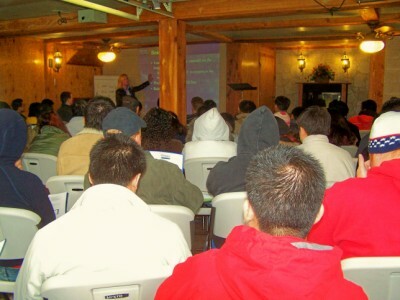 We can help to provide retreats for deserving latino organizations. AAA approved non-hotel lodging. Golden Bear Cottages Resort, a bilingual rustic hotel, has been named to USA Top 20 Family Vacation Resorts by RusticVacations for ten straight years! 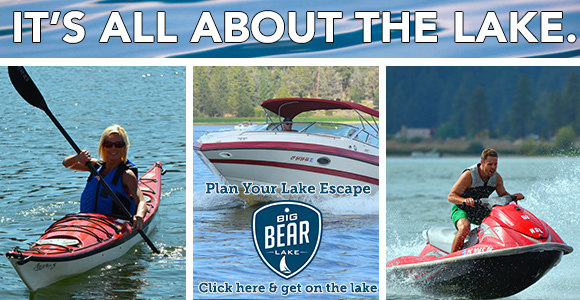 The Big Bear Lake Marketing Association (BBLMA) through it's local and regional partnerships is responsible for the development and daily management of 13 websites consisting of team sports travel, lodging, accommodations, resort cabin rentals, vacation news and reviews. We daily update over 30 news stories about Big Bear events and weather. We manage over 3850 landing pages of non hotel discount coupons for Big Bear Cabin rentals and vacation planning. The sites have over 1370 current photos of the drive to the mountains, the four seasons, resort cabin interiors and exteriors and events of local interest for both families and groups. We are sponsors of the Big Bear Lake Latino Hotel Association, somos bilingual y hablamos espanol. Golden Bear Cottages is a founding member in excellent standing with the Big Bear Lake Marketing Association (BBLMA). The Big Bear Lake Latino Hotel Association fue organizada para ser la organización preeminente que representa los intereses de la comunidad de viaje, las familias y los grupos latina entera por propietarios de hotel y operarios latinas locales. Para más acerca de acontecimientos locales disponibles a latinoamericanos bilingües y para conseguir la información de viajero adicional, la parada por la oficina en Casitas Doradas de Oso cerca de Bahía de Canto Rodado en 39367 Oso Grande Blvar. El personal administrativo amistoso le proporcionará con los mapas de visitante y cupones locales para alquileres de barco, las tiendas y los restaurantes. Tienen una tienda de regalos de montaña de wounderful allí también. Usted también puede llamar la oficina de la información del visitante latina en 1-800-461-1023. El Lago Grande del Oso la Asociación que latina del Hotel (Big Bear Lake Latino Hotel Association) fue organizada para ser la organización preeminente que representa los intereses de la comunidad de viaje, las familias y los grupos latina entera por propietarios de hotel y operarios latinas locales. The Big Bear Lake Marketing Association also supports and is affiliated with national, local, regional and non-profit latino friendly organizations including the following: American Hiking Society, Big Bear Lake MWD and Lake Management, Big Bear Latino Visitor Information Center, Christmas Tree Lane, Big Bear Lake Chamber of Commerce, Booking.com, The Discovery Center, Moonridge Zoo, Santa Claus, Inc., the Diabetes Association, Travel Angels Network, Events of Christian Interest, churches and schools, local and national pet organizations such as AVMA, Pet Friendly Travel and Animal Care Wellness Center. Our industry associations include Big Bear Lake.net, World Ventures Travel, Alternate Image, Groople, Pleasure Point Marina, Hole In One International, Streamlight Video, Yahoo Travel and the Big Bear Lake Chamber. Our partner resorts are in Mexico, Big Bear Lake and Cabo San Lucas. Our radio partners are KAAA AM 1230 and KZZZ AM 1490 in Arizona... KCAL-FM 96.7, KOLA-FM 99.9 and KCAA- AM 1050 in the Inland Empire. Our Internet travel partners include AAA, AAA Travel, AAATravel.com, AnimalCareWellness.com, AVMA.com, B&B Star, BigBearChamber.com, BigBearLake.net, BigBearLakeMarketingAssociation.com, Big Bear Lake Latino Visitor Information Center, big_bear_lake_latino_hotel_association, Big Bear Latino Visitor Information, Big Bear Today Magazine, BigBearTodayMag.com, Bing, Booking.com, Bride.com, CalBeds.com, Christian Travel Finder, CaliforniaWeekend.com, CitySearch, Cowboy.com, Creative Home Club Magazine, DataSphere, Eventective.com, FishingNetwork.net, Global Ski and Snowboard, Goldsmiths Ski and Board Shop, good lake visitor information, bigbearhoteles.com/BigBearLatinoVisitorInformation, Google, Groople, JusCollege.com, Hesperia Star, HotelGuide.net, Hotel Management Magazine, Hotels.com, Hotels.uptake.com, HotelBigBear.com which offers private non hotel vacation rentals, HotWire.com, InfoHub.com, Key Vacations, Inland Empire 66'ers (Angels single A affiliate) professional baseball club, MainTour.com, Massive Snowboards/Latino Services, Merchant Circle/latino, MountainVacationResorts.com, MountainResortCoupons.com, National Geographic Traveler Magazine, OnlineHotels.com, Orbitz, PetTravel.com, PetFriendlyTravel.com, PetFriendlyInns/BigBearLakeCA, PleasurePointMarina.com, ReservationTrac.com, RetreatsOnline, RumRabbit.com Airline Employees Association, RetreatsandSeminars.com, RusticVacations.com, Santa Claus, Inc. of Greater San Bernardino, SkiCoupons.com, SkiTown.com, Snow-Valley.com, StayatourPlace.com, SuperPages.com, Trading Places International, Travelegia.com, Travel-Angels-Network.com, TravelHost.com, VacationRentalsbyOwner.com, Villa4Vacation.com, VirtualChapel.com, WorldWideFishing.com, Yahoo, YahooTravel.com and YouTube.